As The Weather Grows Cooler, Take Care Of Your Skin! I can’t believe it’s Fall! Yay! I hope the weather becomes cooler soon. I am all about the Fall fashions and makeup shades — but I really need to take care of my skin during this time of year. StriVectin Advanced Retinol Pore Refiner ($99 1.7 oz) — New Advanced Retinol Pore Refiner is a lightweight daily pore-minimizing lotion and anti aging moisturizer with Retinol that delivers both instant and long-term visible pore reduction. 96% of subjects had an immediate improvement in visible pore size after a single application. Patented NIA-114™ technology nourishes the moisture barrier to provide visible age fighting efficacy as it limits the sensitivity common to Retinol use. The powerfully effective blend purifies and refines both skin tone and texture, while delivering superior age fighting benefits. StriVectin Advanced Retinol Intensive Night Moisturizer ($112 1.7 oz) — New Advanced Retinol Intensive Night Moisturizer delivers the proven anti-aging benefits of Retinol faster and stronger than ever before – without the irritating side effects. This anti-aging night cream supports the four essential building blocks of healthy skin appearance: proteins, micronutrients, water and lipids. Retinol helps improve cell turnover, visibly enhancing firmness and elasticity and diminishing the look of lines and wrinkles. Patented NIA-114™ technology nourishes the moisture barrier to provide visible age fighting efficacy and limit Retinol sensitivity. The supercharged face cream with Retinol and Copper Tripeptides is the ultimate solution for more radiant, revitalized and younger looking skin. What I think: I have found that my fun aging issue right now is enlarged pores. And if something irritates my skin, my pores get larger. That’s why I am excited that these products exist! They do not irritate my skin, which is essential! I layer the night cream over the pore refiner at night and my skin is glowing and smooth in the morning! Jurlique Rosewater Balancing Mist ($24 1.7 oz) — A daily hydrating mist featuring the relaxing scent of rose that restores and hydrates the complexion and is ideal for normal/combination skin types. Jurlique Rose Moisture Plus Moisturizing Cream ($44 1.4 fl. oz) — This creamy moisturizer with Rose Hip Oil helps improve skin moisture levels while providing essential protection against free radicals. Jurlique Calendula Redness Rescue Soothing Moisturising Cream ($46 1.4 fl. oz) — This high performance soothing cream features our proprietary Comfort Complex including Calendula, to help comfort sensitivity, while essential fatty acids provide optimum hydration and skin barrier protection benefits with antioxidants to help protect against environmental aggressors. Skin feels restored, comforted and hydrated. What I think: I have tried the balancing mist, so I was excited to receive this sample! It is both refreshing and moisturizing. It has a light rose scent that I love! The creams are new to me, but I will use the rose moisturizing cream when I need extra moisture (at night), and the calendula cream when my skin is red and sensitive. I love that they are all natural. 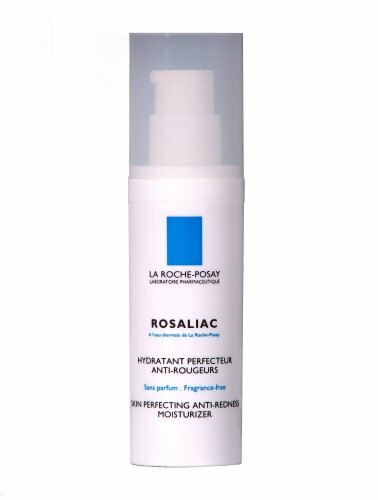 La Roche-Posay Rosaliac Moisturizer ($37.99 1.35 fl. oz) — Rosaliac moisturizer helps neutralize visible redness on a daily basis to harmonize skin complexion. This weightless, light-green tinted formula contains Xanthine, a patent-pending ingredient, helps soothe skin. It also contains La Roche-Posay Thermal Spring Water: rich in Selenium, a powerful, natural antioxidant, provides instant skin soothing. What I think: This is another great cream for red and sensitive skin. This one is nice to use in the daytime, as the green tint helps balance out the red in my skin. It also feels really nice on. 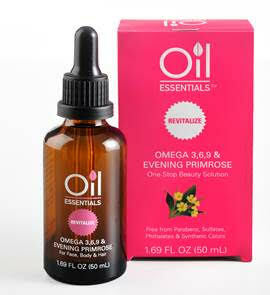 Oil Essentials Omega 3,6,9 and Evening Primrose ($12.99 1.69 fl. oz.) — is a revitalizing, light formula that helps to nourish and heal dry skin as well as strengthen and moisturize hair and scalp. All Oil Essentials are natural, sustainable formulas that are free from parabens, sulfates, phthalates, and synthetic colors. Conveniently, Oil Essentials can also be used as a “Beauty Booster” by adding a drop to your favorite skin and hair-care products. What I think: This smells amazing! I love using it on my hands and cuticles. It is also a great night skin treatment. Apply it in the evening in place of night cream and skin is soft in the morning. Available at Rite Aid stores. Previous postSeptember 2015 PopSugar Must Have Box! Next postMore Gorgeous Fall Makeup!